Today a beautifully presented package arrived from Minst, in Sweden. I commissioned a Swedish style chandelier from Cilla at Minst and it had finally arrived! Cilla made it by hand with real crystal. It is also electrified. I don't think the photos do it justice. I am slowly collecting light fittings and other parts for my Scandinavian house, which is coming along very slowly. I will be satisfied though, that it will have an authentic look. 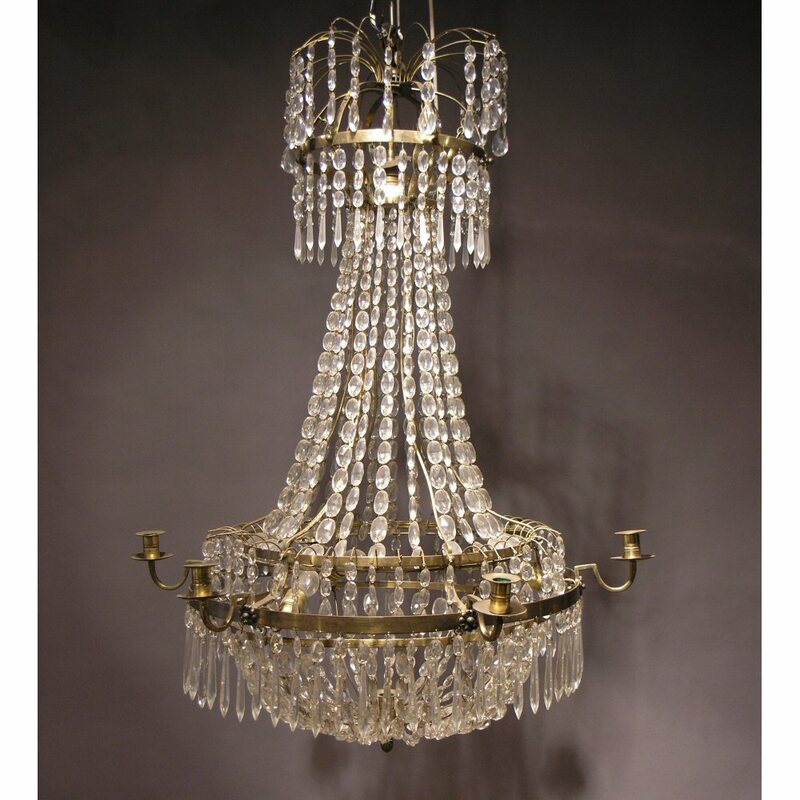 What a beautiful chandelier! I might have to commission one myself when I have the budget for another dollhouse. Yes, it is very well made so I am pleased - but yes, I will have to spread these purchases out so that I don't go bankrupt! Also, I like your blog! That chandel;ier is absolutely spectacular. the workmanship is stunning. 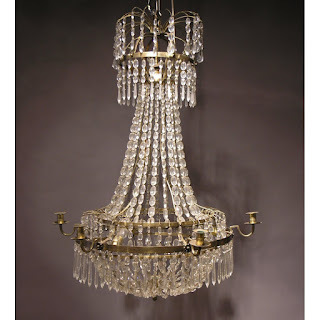 Good chandeliers in miniature are very expensive, but so worth the investmant. They really make a room. I agree Giac, that is why I went to so much trouble to find a good one! Though price is always a consideration.. I don't remember if I answered your question on the last comment you left me. All the wallpapers in my Manor are from www.leschinoiseries.com . They are a little bit more expensive, but the quality is excellent. Thanks Giac, I will check it out! Emily, this is a masterpiece, what an amazing chandelier! That really is a lovely Chandelier , it looks very authentic, I like the way it has a little patina and the candle stick lights. Very nice indeed!